So far 2013 has been a bit tumultuous weather wise with its mixture of rain, snow and flooding. However it is still the middle of winter and to be expected to some degree. I cannot help but feel the country closes down all to easily during adverse weather conditions with schools, trains and other transport rapidly grinding to a halt. In many countries where snow is an expected norm they simply carry on. It will be interesting to see if a recent court judgement making airlines liable for sizeable financial compensation for delays due to adverse weather will have an effect in reducing airport flight cancellations. 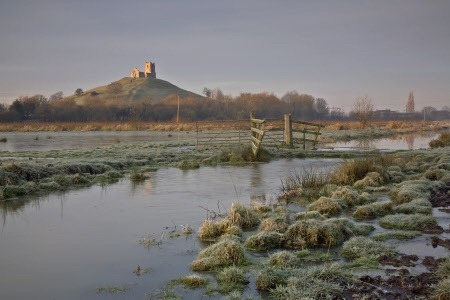 Parts of the Somerset Levels near where I live have now been under water for many months. To the farmers that own the land this could mean complete financial ruin. There is often a misconception that farmers are all wealthy but for the vast majority this would be untrue. Whether they be livestock or arable farmers, it takes a special breed of person to often borrow large sums of money to buy a farm and then work all hours of the day, and often the night, and then gamble the elements will prove favourable to their crops or livestock during the forthcoming year. If a farmer makes a profit he will pay tax on it. However if they makes a loss instead, there is no form of recompense on their loss. Whatever our occupations, most people would not be happy in being told their pay was to be drastically reduced but that is the situation many farmers face on a year by year basis. Why do they do it? Well most farmers will tell you it’s a way of life that’s in the blood and they enjoy being in charge of their own business. It’s fortunate for the majority of us there are such people for without them the alternative would be mass starvation. Perhaps the Government should consider creating a special award for farmers in recognition of their services.